I’m not one who likes surprises. Pretty much ever. If you want to give me a bad birthday present, just throw me a surprise birthday party (please don’t). But this surprise… oh, this one is good! 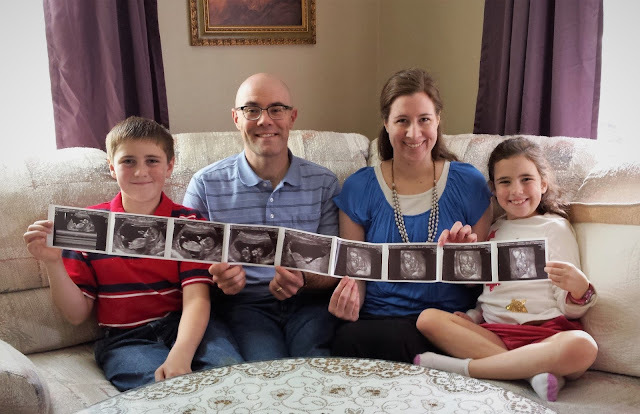 We found out this summer that God is blessing us with another child! What a wonderful, happy surprise. We have a little boy on the way, and his name is Stafford. Lord willing, he will be arriving in March. Life is going to get harder; that is true! But a new baby is most certainly a happy and good surprise. God is the creator and giver of life, and children are always a blessing from Him. We are grateful that God has chosen us to take care of Stafford and raise this child for His honor and glory.